CHECK HERE for compatibility with your car before ordering. 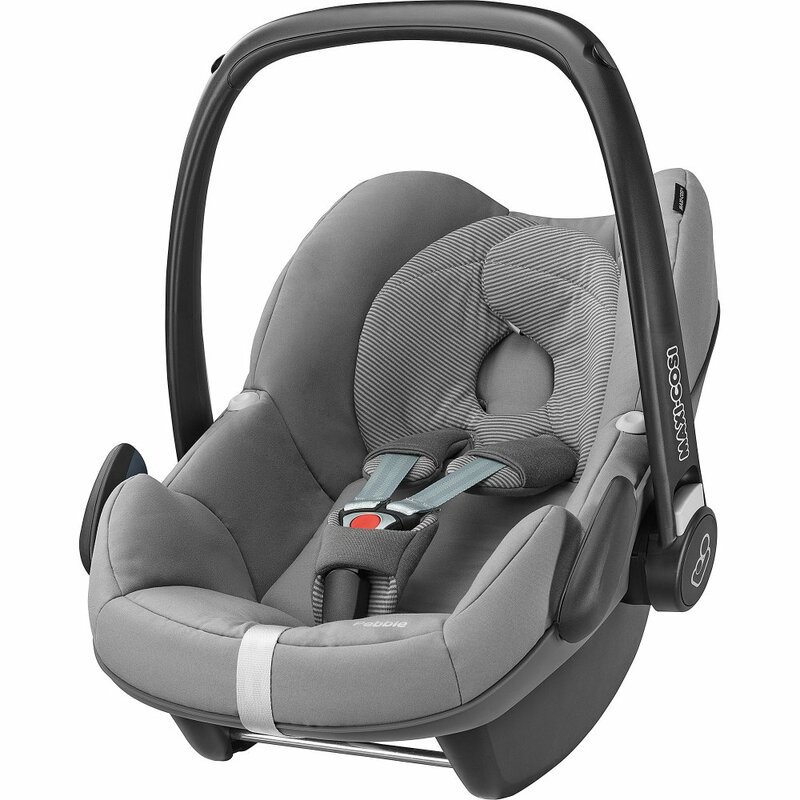 Maxi-Cosi Pebble Car Seat will fit all Maxi-Cosi or Quinny pushchairs transforming them into delightful travel systems for your little one. The easy one button release enables quick removal from the chassis with minimum fuss and effort. The stay open harness also allows for hassle free and easy access to baby. The Pebble can also be used in the car with car seat belt fixing, Easybase 2 belted base (sold separately) or Isofix fitting when used with the Familyfix base (sold separately). TÜV-approved for use on aeroplane, great for taking baby on holiday securely. Awarded Best Buy by Which?